Product prices and availability are accurate as of 2019-04-22 16:50:10 UTC and are subject to change. Any price and availability information displayed on http://www.amazon.com/ at the time of purchase will apply to the purchase of this product. 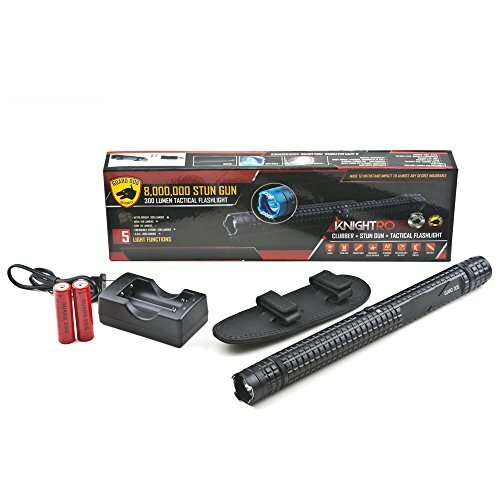 The Guard Dog Knightro is a multi-functional stun gun nightstick that packs an incredible punch, combining a high-voltage charge, 300 lumens of bright, white light, and booming noise. When you’re not using this combination to protect yourself, the five light settings in the flashlight will illuminate your way up to 200 yards away, with the Knightro’s enhanced reflector system ensuring great visibility every time. 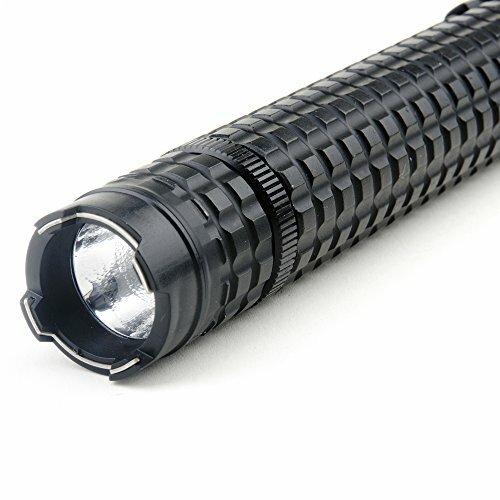 With multiple flashlight settings, this incredibly durable, multi-functional stun gun flashlight has practical, everyday uses too. At 14” x 1.25”, the Knightro fits comfortably on your hip in its premium stun gun holster (included with the Knightro). 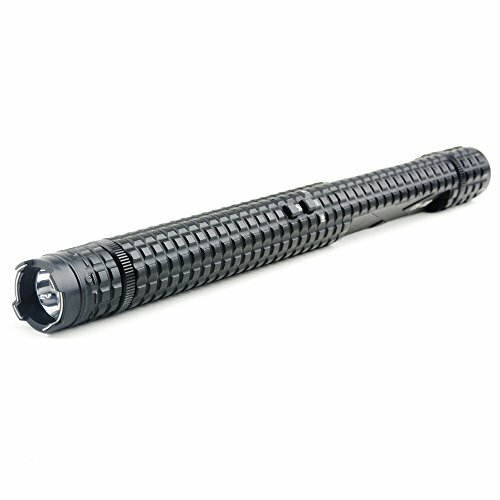 Crafted in the highest-quality type III aircraft grade aluminum alloy, the body of this flashlight is supremely durable - the toughest in the world. With a one-handed on/off safety switch and ergonomic design, you won’t accidentally discharge it, but you will be able to turn it on quickly when you need it most. 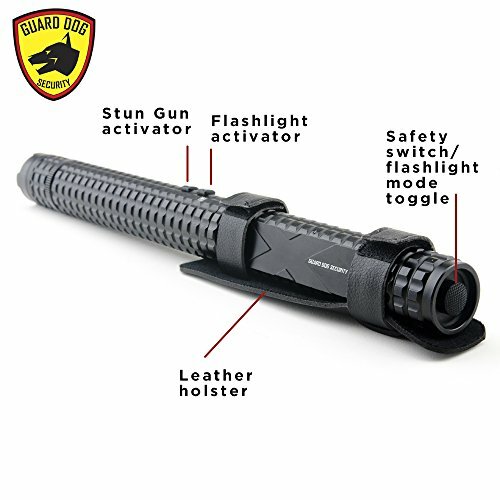 Compared to other stun guns, the Guard Dog Electra is completely unique, because it has Guard Dog’s exclusive Concealed Inner Stun Technology™. 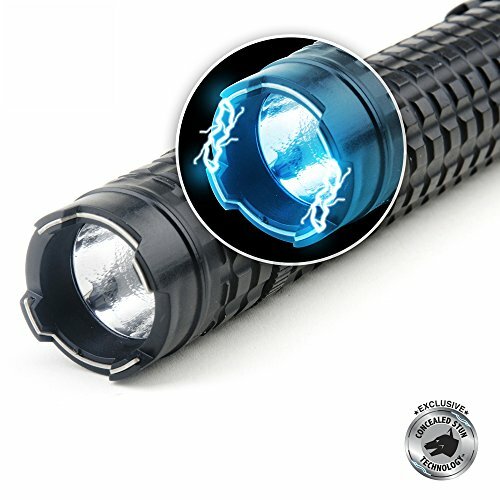 With this innovative design, there are no visible prongs that hinder the output of the flashlight and allows the stun gun to be disguised within the outer layer. The powerful stun on the Knightro stun gun flashlight will disable an attacker and the massive sound will surprise and scare anyone else within reach. Guard Dog's exclusive Concealed Stun Technology brings you functionality that is truly practical. 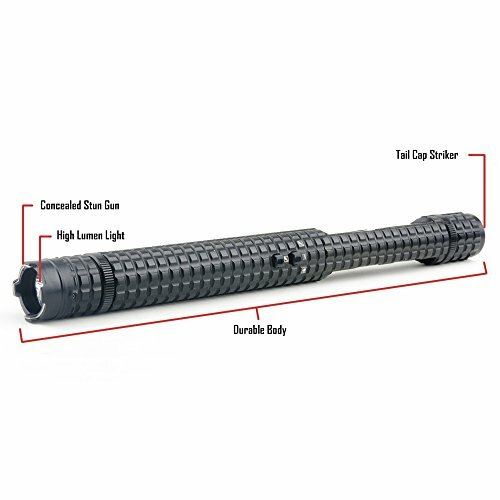 With no visible prongs on the top many of our unique flashlight stun guns, your security device is fully concealed until use. Don't trust your security with cheap knockoffs, Guard Dog's Concealed Stun Technology is the best in the industry. Safety is no accident. Buy your Stun Gun Flashlight today!